Megan survived the plane crash—but can she survive the aftermath? An intense, emotional novel from the author ofThe Unwritten Rule and Between Here and Forever. I am such an Elizabeth Scott fangirl. 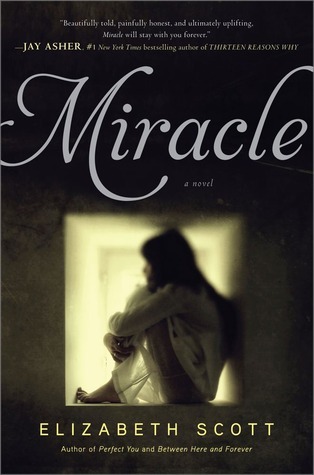 Her books are always highlights of my reading year (love that she has been such a prolific writer since debuting with Bloom) and Miracle was no different. Quiet, unassuming and utterly compelling. This novel was, in parts, relentlessness and terrifying. Yet Scott balances it beautifully with hope and the tiniest spark of life just in all the right places. I love how Scott writes the bare bones. These succinct, achey sentences. Not quite telling the full story and yet creating a perfect whole, somehow. This style, written sparingly, brings so much depth. The thing is: I read it whole one quiet afternoon. Found it utterly compelling and heartbreaking and a touch surreal. And now, weeks later, I am still thinking about it. I am not ashamed to say I cried in this book. Not just for Megan, but maybe in part for myself. Even though I have no cause to suffer from PTSD, I think all of us can relate to those feelings in some way. This book felt like the real deal. Not another YA book with a gimmicky catchy hook. Not trying to please a crowd. But as if it was written from somewhere deep inside the character's soul. I don't know how Elizabeth Scott does it. But I hope she never stops. I wasn't intending to review this due to time. But I just wanted to say something because this book has said something to me. I loved it. I recommend it. 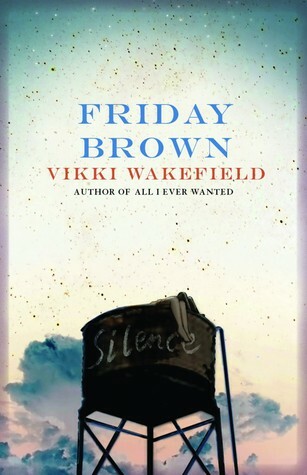 Friday Brown is the breathtaking second novel from the author of the award-winning All I Ever Wanted. Last year I nominated Vicki Wakefield's Aussie YA debut All I Ever Wanted as my favourite book of 2011. She has followed up her debut with the same kind of brilliance that, despite all the warnings of emotional napalm, I was not quite prepared for.